The Global Network Initiative (GNI) is pleased to announce that the Wikimedia Foundation (WMF) has joined GNI as an observer.  “We are honored to join the Global Network Initiative. The protection and promotion of human rights online is essential to what we do. Providing access to knowledge for everyone is imperative, and Wikipedia volunteers must be free from efforts to censor or remove content on Wikipedia. Strong privacy rules and opposition to surveillance are a fundamental part of the freedom that allows people to read and contribute to Wikipedia. We are excited to collaborate with and learn from the variety of committed organizations and individuals who make up GNI in order to further our efforts to promote freedom of expression and privacy worldwide,” said Jan Gerlach, WMF’s Senior Public Policy Manager. The Wikimedia Foundation is the nonprofit organization that hosts and supports Wikipedia and the Wikimedia free knowledge projects and a strong believer in multistakeholder collaboration to promote freedom of expression and privacy, collaborating with digital rights advocates around the world. During their observer year, the Wikimedia Foundation will not join a particular constituency within GNI, but will engage with all of our members as it joins GNI policy and learning activities strengthening GNI’s agenda to protect and promote freedom of expression and privacy online. “WMF’s lessons learned in their own transparency efforts will be of great value to GNI member companies and GNI’s accountability work,” said Judith Lichtenberg, GNI’s Executive Director.